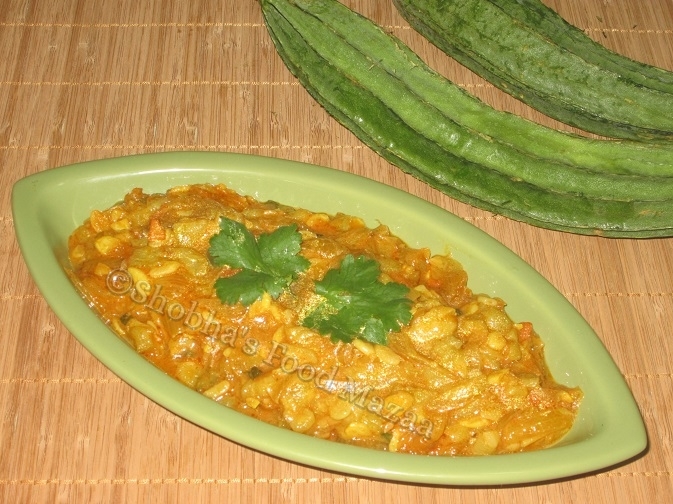 There are many ways of cooking ridge gourd. 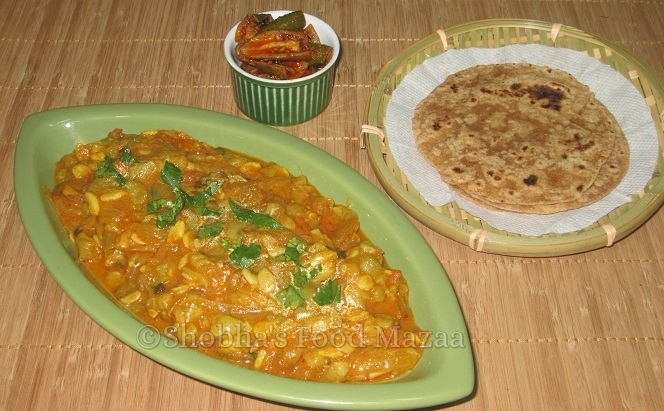 This is a simple Sindhi preparation as we call it seyala tooryun.cooked with onion tomato and basic spices. 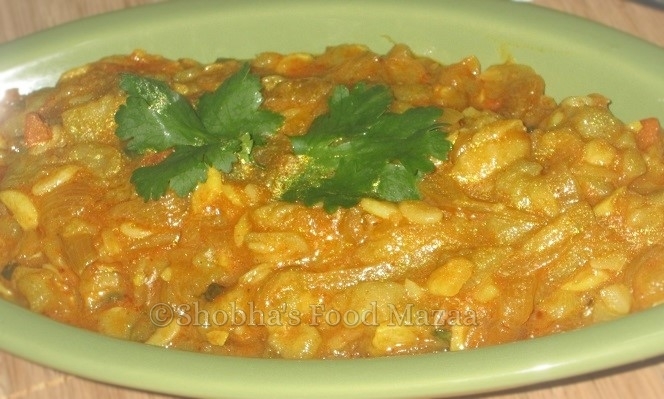 It is very light on your stomach and is usually served with rotis or puris. Turai / ridge gourd ... 1 kg. 1. Peel the ridge gourd and cut into pieces. Heat oil in a pan and saute the onion until translucent. 2. Add garlic, green chillies and tomato. Stir fry until tomato gets cooked. 3. Tip in the chopped ridge gourd. Add the salt and spice powders. Mix well and cover it. 4. Cook on medium flame until the water gets dried up stirring a couple of times. Turai leaves a lot of water. Garnish with coriander leaves and serve with rotis or puris. Looks delicious and healthy. nice side dish for roti..